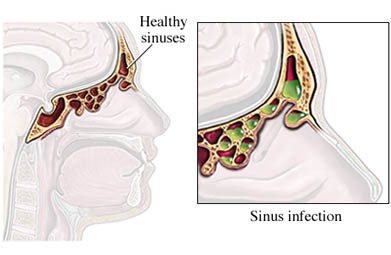 Acute sinusitis in adults. EBSCO DynaMed Plus website. Available at: https://www.dynamed.com/topics/dmp~AN~T902952/Acute-sinusitis-in-adults . Updated September 12, 2016. Accessed September 26, 2017. Acute sinusitis in children. EBSCO DynaMed website. Available at: https://www.dynamed.com/topics/dmp~AN~T902949/Acute-rhinosinusitis-in-children . Updated September 7, 2017. Accessed September 26, 2017. Chronic rhinosinusitis. EBSCO DynaMed website. Available at: https://www.dynamed.com/topics/dmp~AN~T115673/Chronic-rhinosinusitis . Updated August 7, 2017. Accessed September 26, 2017. 12/11/2009 DynaMed Plus Systematic Literature Surveillance https://www.dynamed.com/topics/dmp~AN~T902952/Acute-sinusitis-in-adults : Zalmanovici A, Yaphe J. Intranasal steroids for acute sinusitis. Cochrane Database Syst Rev. 2009;(4):CD005149.